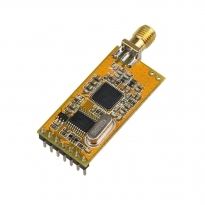 DRF1212D10-043S is a type of highly integrated and extra low power data radio modem based on SX1212 RFIC. It is designed for operations in the unlicensed ISM (Industrial Scientific Medical) and LPRD bands. 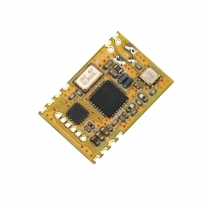 FSK (Frequency Shift Keying) modulation/demodulation, multi-channel operation, high bandwidth efficiency and anti-blocking performance make DRF1212D10-043S modules easy to realize the robust and reliable wireless link. 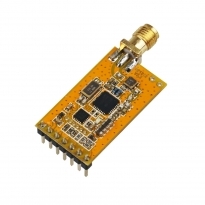 DRF7020D13 is a low-cost sub-1 GHz transceiver module designed for operations in the unlicensed ISM (Industrial Scientific Medical) and LPRD bands. GFSK (Frequency Shift Keying) modulation/demodulation, multi-channel operation, high bandwidth efficiency and anti-blocking performance make DRF7020D13 modules easy to realize the robust and reliable wireless link.